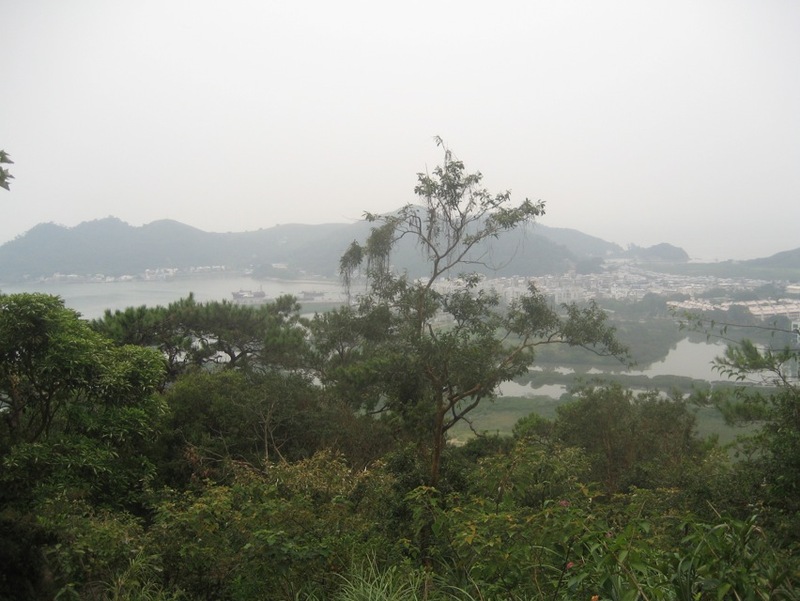 Stage 5 ended at Man Cheung Po, which is in the middle of nowhere, so we had to continue walking stage 6 too, to get us to Tai O. 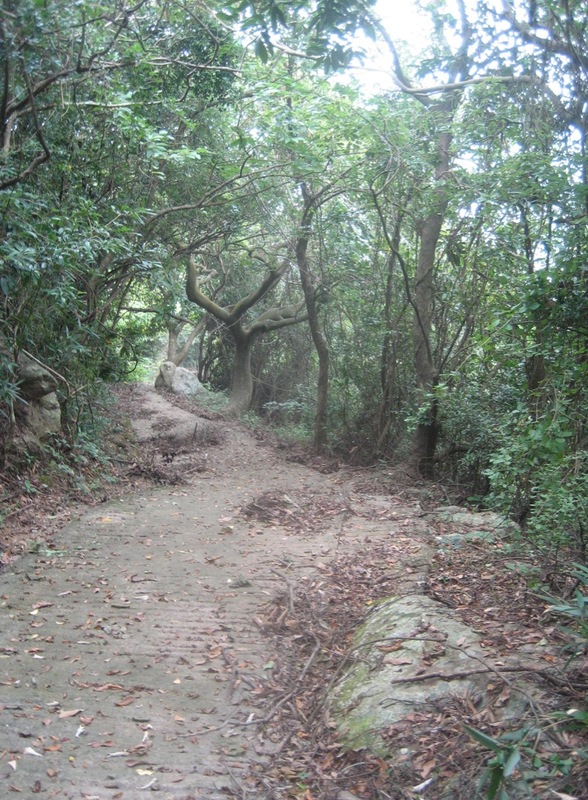 We followed a path that took us downhill, first on some steps and then just on a forest path. You can see by the amount of leaves and branches that we hiked after typhoon Vincente was in town – there were some areas where we had to carefully step over fallen branches. This took us past the fantastic Ng Yuen Garden, just such a shame that the garden is now neglected and derelict. We continued through the forest, which felt a little mysterious. Dense vegetation, but no animals apart from a few spiders and other insects. Just a few birds could be heard but not seen. Having done 7.5k this last stretch is a nice walk mostly down tree lined tracks and at only 2.5k not too far. 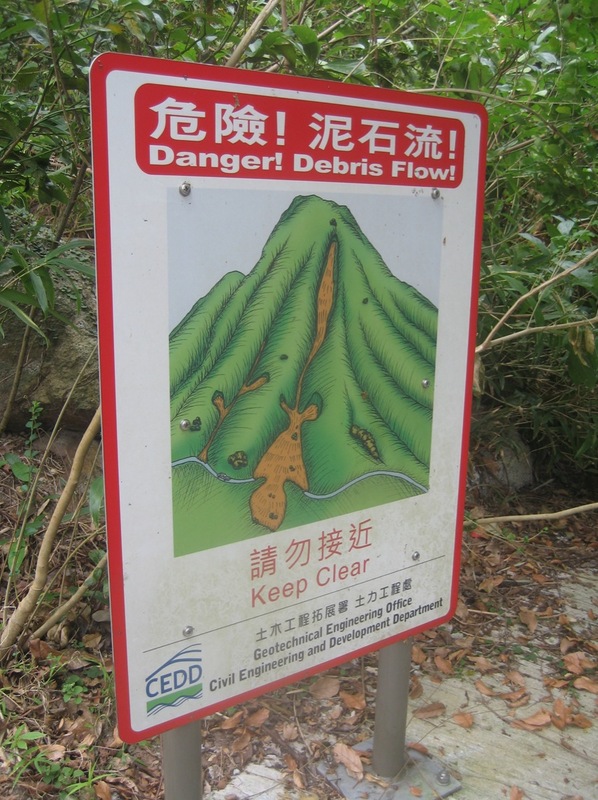 At the end of the steep slope, just before reaching Tai O where warning signs about debris flow. 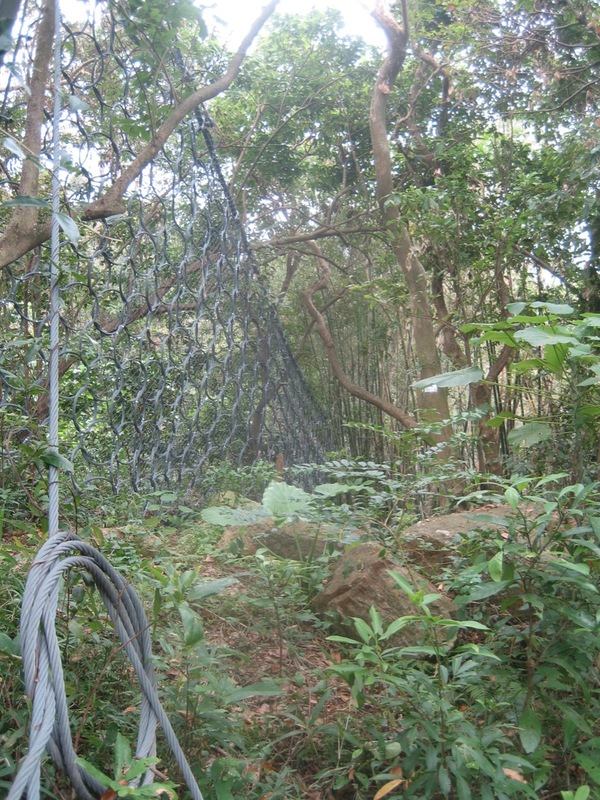 There were also some strong-looking nets spun across the side of the hill, clearly to protect Tai O from land erosion in bad weather. Apparently that’s necessary. 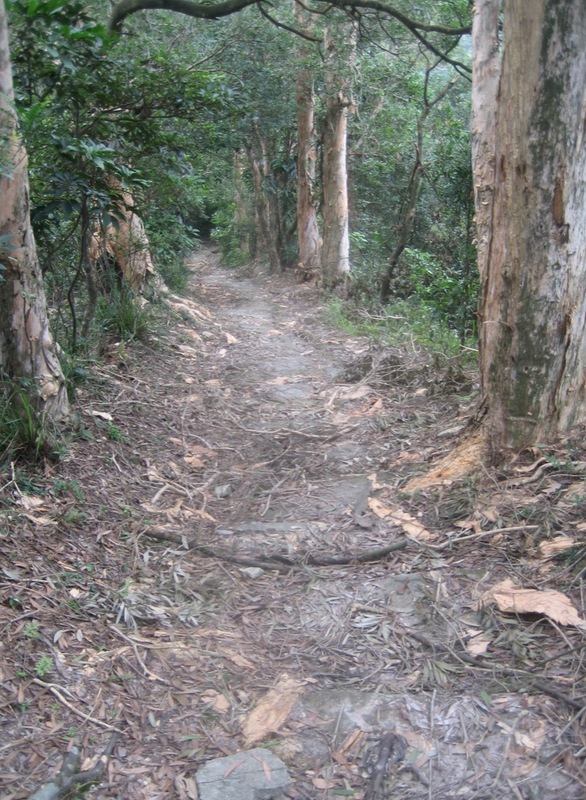 Anyway, when we were hiking, it was a dry and warm day – so no erosions and not even slippery slopes, which made our hike easy. We arrived safely in Tai O, from where we took the bus back to Tung Chung.